The crude market once again distinguished itself on Friday by U.S. oil earning the worst performance since January of 2016, by ending the week down 11 percent - but at least one analyst suggested that trading is no longer governed even by sentiment but instead has degenerated into outright chaos. 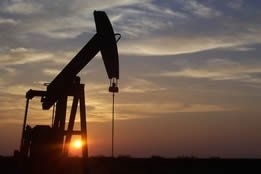 West Texas Intermediate ended Friday's session down 29 cents at $45.59, while Brent was down 40 cents at $53.95 per barrel (on pace for a decline of more than 10 percent for the week). Stephen Innes, head of trading for Asia-Pacific at OANDA, remarked, "To say things are a bit negative [is] a significant understatement." Media trotted out the usual reasons to explain Friday's losses: equity markets overall losing ground as investors worry about the strength of the global economy in 2019; and fear of sustained oversupply as the U.S. assumes the mantle of the world's biggest crude producer. All but ignored on Friday was the recent and persistent hoopla over the Organization of the Petroleum Exporting Countries (OPEC) agreeing to cut 1.2 million barrels per day (bpd) next year to avoid a glut, and news that Saudi Arabia is willing to cut even more in order to help shore up prices. Burt as far as one analyst was concerned, there was no real reason for the degree of pessimism underscoring Friday's losses and the week's dismal crude trading overall. Scott Bauer, chief executive officer at Prosper Trading Academy, told Bloomberg television that the oil market is "so volatile right now, there's really no rhyme or reason: the news that came out a little while ago about Saudi cutting even more - but we saw WTI down at $45, then we saw a nice rally off of that, and now we're back on the downswing. "I think the market is extremely, extremely confused." It could be that Alexander Novak, energy minister for Russia, privately shares Bauer's assessment: when asked to comment on falling oil prices and the possibility of an extraordinary meeting between OPEC and other oil producers, he replied, "I believe that we should monitor, the end of the year is not indicative" - suggesting that he doesn't believe an emergency meeting is warranted. Russia is hardly the only country maintaining a cool composure: throughout this week of crude price declines, the Saudis have repeatedly urged others to forget sentiment and focus on fundamentals, which they believe - as evidenced by their 2019 budget - will result in oil averaging about $80 per barrel next year, as long as the kingdom's production continues at 10.2 million bpd.